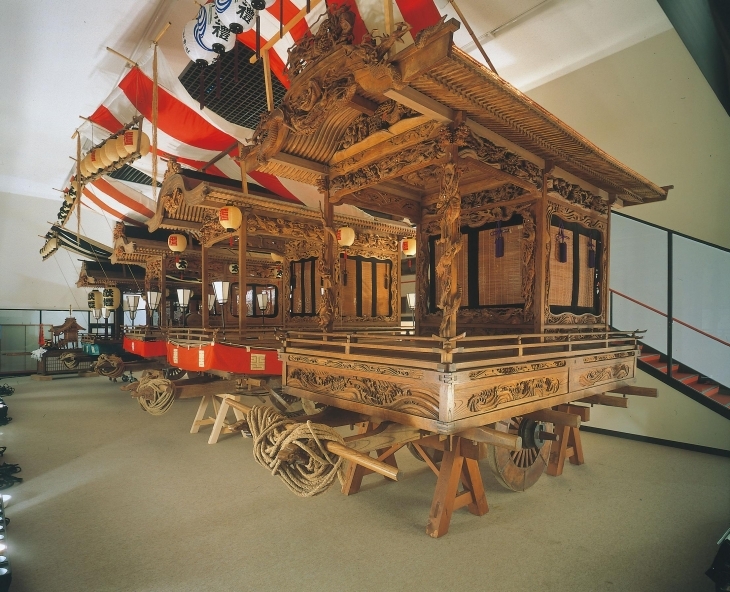 In addition to informational documents on the natural features of the region as well as cultural assets related to “hemp”, which used to be the main support for the village’s economy, the museum also houses fascinating and overwhelming collections including Kagura stages and floats decorated with minute shrine sculptures by the master Kiyomatsu Kitamura, historical documents related to a Shinano-born famous scholar of Japanese Mathematics named Sohan Terashima, and works by the father-son sculptors of natural genius, Shikai and Masanobu Kitamura, who are the descendants of Kiyomatsu. Approx. 30 km from Nagano IC, or 1 hour on the bus to Kinasa from JR Nagano station, walk approx. 10 min. from the final stop. Mondays, following days of holidays and during winter (December 29th through March 20th). *No closing days during May, August and October. *Tours during winter also available upon reservation. Call Nagano City Museum for details on winter tours.